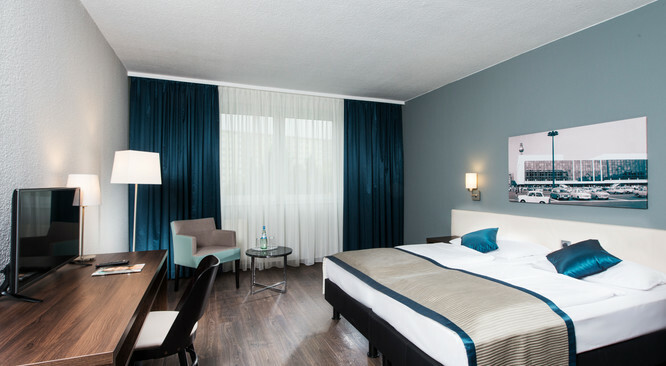 The hotel rooms of the standard category are perfect for a business trip or vacation days in Berlin. They are equipped with a comfortable double bed with two separate mattresses, a large desk and a TV. Allergists also feel comfortable in our hotel rooms because of the laminated floor. The bathrooms of the standard category all offer a bath tub. 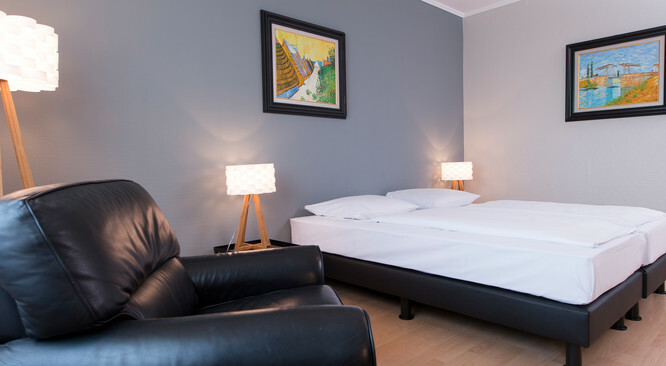 The City Hotel Berlin East offers his guests rooms for up to three people. Here the standard equipment with laminated floor, large desk and TV is available for you. 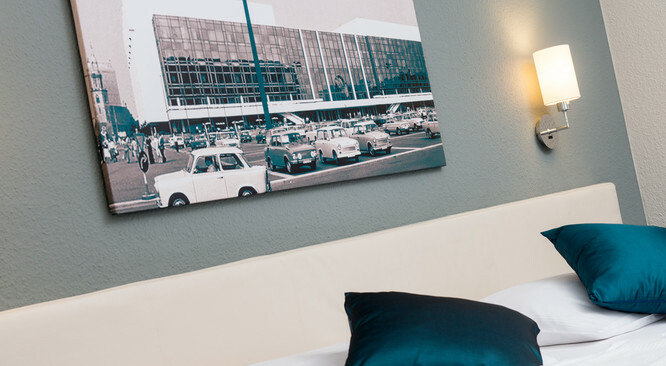 Three single beds provide enough sleeping space during your family trip to Berlin. Our studios are perfect for a longer stay in Berlin. In the 29 sqm rooms you can use a small kitchenette with microwave, sink and fridge. With that equipment, you can cater yourself easily during your stay at the City Hotel Berlin East. The equipment also includes a large desk and a TV. The spacious hotel suite offers excellent equipment on 65 sqm in total. A comfortable double bed, a large desk and a separate toilet is available for you. The City Hotel Berlin East has one suite with separate living and sleeping area. The largest room of the City Hotel Berlin East is our Executive Suite with 100 sqm. Up to four people can sleep here in two separate bed rooms which offer one double bed each. Additionally, you will find here a large living area with a couch, a terrace and a bathroom with bath tub and separate toilette. 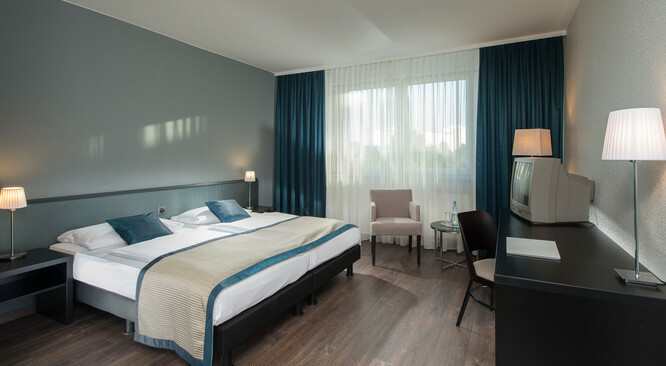 The 317 spacious and comfortably-furnished standard rooms (29 sqm) of our City Hotel Berlin East offer a modern 4-star ambience. The refurbished superior rooms present a fresh and clear-cut capital design. Selected rooms additionally feature a kitchenette suitable for extended stays. Pets may stay in our hotel for a fee. Please inform us before your arrival, if you bring your dog to our hotel in Berlin Lichtenberg.